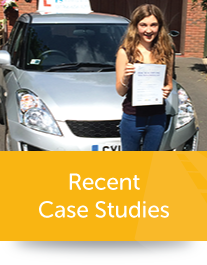 Our Advanced Driving Lessons are based on the Pass Plus modular course developed by the DVSA. All of our Brighton driving instructors are qualified and approved by the DVSA to deliver the course. The Advanced Driving Course is suitable for any newly qualified drivers and its purpose is to give them the confidence and skills they will need to deal with driving situations which they may have not encountered during their driving lessons. Advanced students will be taught several valuable techniques such as optimum road positioning and the ability to deal safely with unpredictable roads and road users. One of our most popular modules is motorway driving because newly qualified drivers will not have experience of the challenges that driving on a motorway presents. Learning how to maintain a safe distance from other motorists, predicting the behaviour of fellow motorway users, and knowing how to overtake safely are just some of the skills that our instructors teach during a two hour lesson. 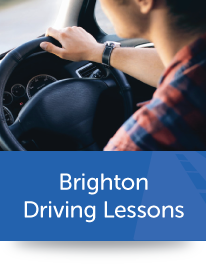 Newly qualified drivers who have spent most of their driving time in built up suburban areas will not necessarily have had the opportunity to accrue the necessary skills to negotiate narrow, winding country lanes with poor road visibility around the Brighton area. Dealing with blind bends and typical country hazards, such as slow moving farm vehicles, horse riders or other farm animals are just some of the techniques that we teach in this training module. City driving and driving in heavy traffic requires a good scanning technique, and sharp responses are needed to deal with fast developing and unexpected hazards. The ability to read and understand road signs and markings quickly are further skills which our instructors teach as a part of this module. Driving at night time or in adverse weather each requires students to be able to deal with changes in visibility and unpredictable driving conditions. Students are also taught about the possible disorientation of driving at night which can be made worse by blinding oncoming headlights. Lessons also cover the impact of driving from darkness into brightly lit streets, as well as the difficulty of seeing pedestrians and poorly lit cyclists along with many other of the challenges that our students face. For students who wish to continue with the Pass Plus accreditation from the DVSA, the course covering all six modules consists of a minimum of six hours. The total cost of the course is £160, but students are at liberty to select individual modules, for example motorway driving, where the cost is £29/hour. Students who have qualified for a Pass Plus certificate should check if they qualify for discounted premium payments from their insurers.